First of all there are no dumb questions. We all have experience at different things and it’s always prudent to ask before we prove we don’t know how. I don’t profess to ‘know it all’. I do have broad based experience in numerous fields. As such I have a lot to draw from. Also I have contacts that can fill in the blanks. So feel free to ask about the unknown before you plunge in blind. I will be glad to share my experience and if I have to ask a friend I will learn along with you. I can post your questions right here for us all to learn. 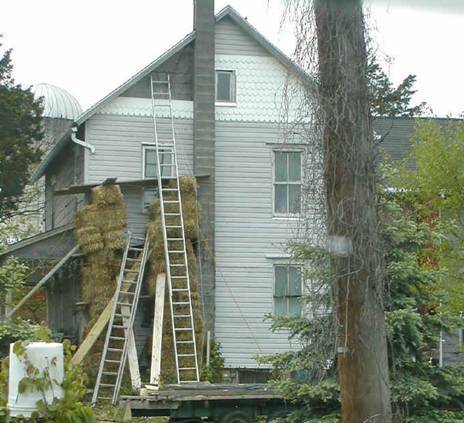 A new scaffold system available at your local feed store.